The FDA now requires the amount of trans fat per serving to be indicated on the Nutrition Facts food label. To assist in meeting this requirement, Harrick Scientific developed the FatIR™ System. This ATR FTIR oil analyzer complies with the FDA-approved AOAC method 2000.10 for routine quantitative ATR measurements of total trans fat content. The FatIR™ System is a straightforward analytical tool for fast, easy, and accurate determinations of trans fat concentration. In addition, it permits real-time in situ monitoring of the trans isomer formation during the processing of edible oils at temperatures up to 175°C. The FatIR™ is also excellent for qualitative and quantitative analysis of other liquids, pastes, and gels. 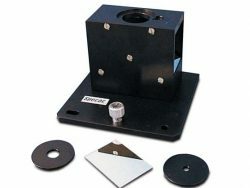 Convenient trough for containing liquid samples. Fixed 45° single reflection horizontal ATR configuration. 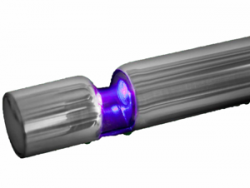 SuperCharged™ZnSe ATR optics for high throughput (greater than 85%). Simple to align and use. Safe, low-voltage heaters permit operation up to 175°C. K-type thermocouple directly measures the sample temperature and flips out of the way for easy cleaning of the ATR crystal. 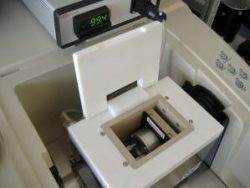 Low-voltage Temperature Controller allows for precise and safe regulation of the sample temperature, with options for direct, cascade and computer control. Secondary K-type thermocouple monitors the crystal temperature, permitting the cascade temperature regulation required for high temperature operation. 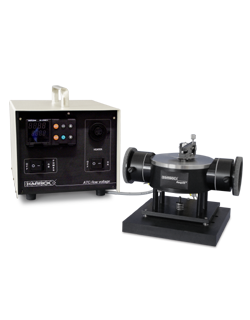 PermaPurge™ for rapid purging of the FTIR system. SuperCharged™ ZnSe mounted ATR crystal. Integral trough for analyzing liquids, powders and pastes. Temperature Controller with USB to RS-485 adapter for computer control.